Woodburn School District is starting the school year with some new administrators and staffing changes. Lincoln Elementary School has a new principal, Sarah Bautista, who previously worked for WSD at Heritage Elementary as an assistant principal. "I'm so excited!" Bautista said. Her office floor was piled high with books during an interview with the Independent last week. Bautista is in the process of moving back to Woodburn from Santa Barbara, Calif., where she worked as principal for El Camino Elementary School. She said that she was looking forward to working with the WSD and being involved in the district's culture of inclusion and bilingualism. "There's no district like Woodburn," Bautista said. "There's a sense of community. ... I hear words like inclusivity, equity, and in more than one language." 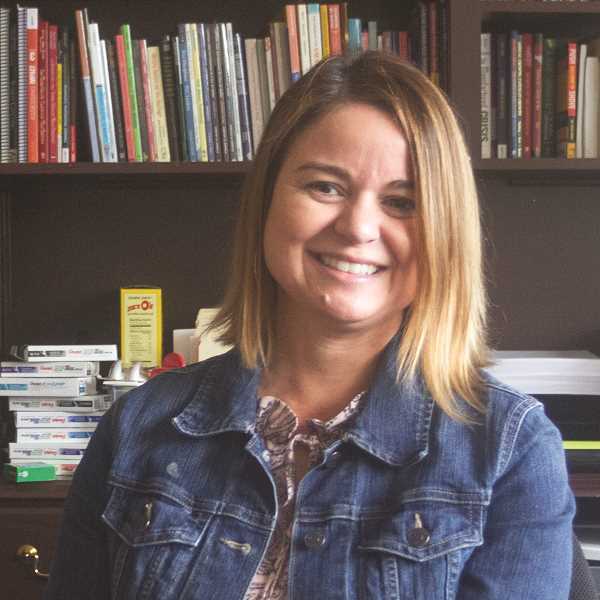 Bautista said she is especially excited to get to work with with Woodburn's students as they progress through the district's multilingual education programs. "It's sad you don't have this everywhere, but its unique," she said. Nellie Muir Elementary School, French Prairie and Valor middle schools and Woodburn Academy of Art, Science and Technology also have new principals starting this fall. Former Assistant Principal Oscar Belanger will be taking over at Nellie Muir, and former assistant principal Mateo Courtney will be taking over at French Prairie. Former principal of Nellie Muir Jeff Taylor has been selected to serve as principal at Valor. Replacing Geri Federico at WAAST is former French Prairie Principal Ricardo Marquez. Longtime WSD Director of Student Services Joe James is also being replaced. James resigned over the summer. Replacing James is Dana Christie. Christie has worked in special education with the district for the last decade. Since 2016, she has been special education coordinator for the district. She served as special education coach and a new teacher mentor from 2014 to 2016 and as a middle school learning specialist from 2010 to 2014. Christie's position as special education coordinator will be filled by Ethan Tiffany, who worked as a behavior specialist with the Estacada School District last year and, before that, as a therapeutic school teacher with the Clackamas Education Service District. Former WSD outreach coordinator Stephan Price is returning to Woodburn from Multnomah Education Service District to serve as instructional services program coordinator. Sarah Bishop is joining the district as director of business from Jefferson School District where she previously worked as business manager. She will take over for Nancy Hall, who was business manager in Woodburn from 2012 until her retirement this June.